The above products are recommended for installation or mounting of the Cable Cutter. 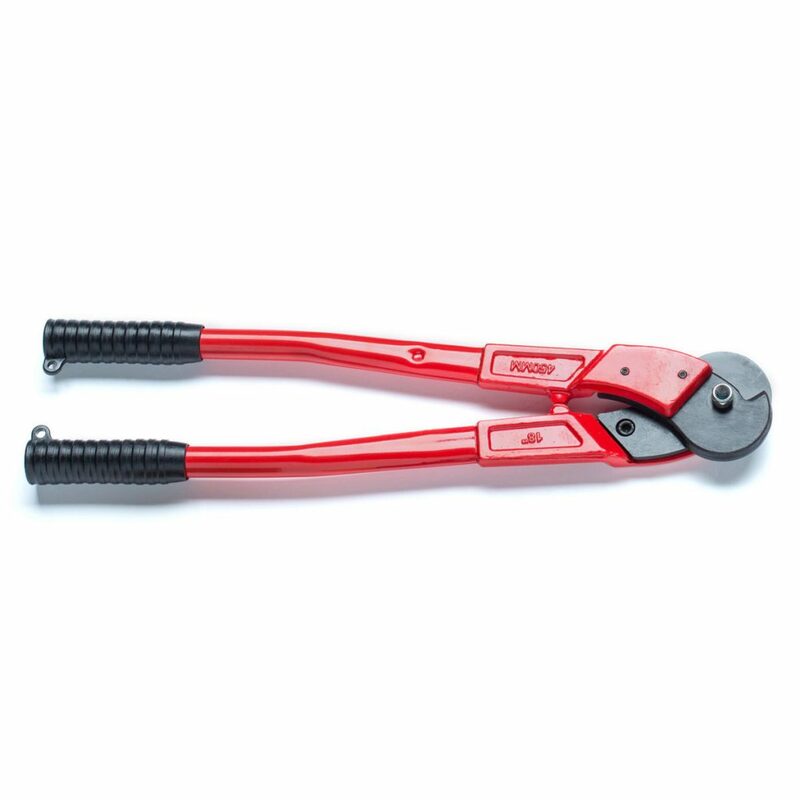 High quality, heavy-duty cable cutter designed to provide a simple, clean cut every time, allowing for easy application of fittings. Easy to use with one hand, this cutter will significantly lessen your workload and eliminate entirely the need for braising the tips after cutting even the smallest end. All our tools and components are designed to work with our own 5/32″ diameter 1×19 cable.